Add Caraselle Black Teatool Tea Strainer - Tea Bag Squeezer to your basket? 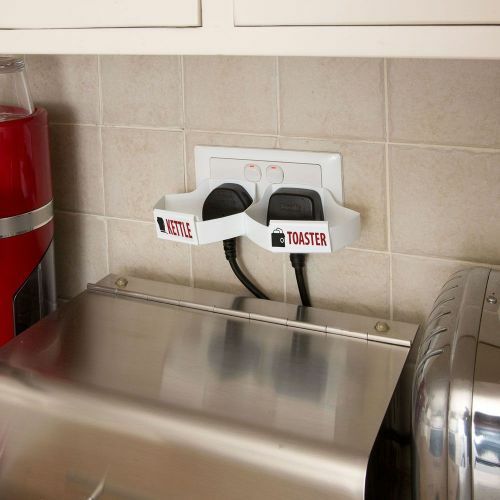 Add The Topster Household Pack of 3 Topster Milk Pourers Red, Green & Blue - - For PLASTIC Milk Bottles only to your basket? 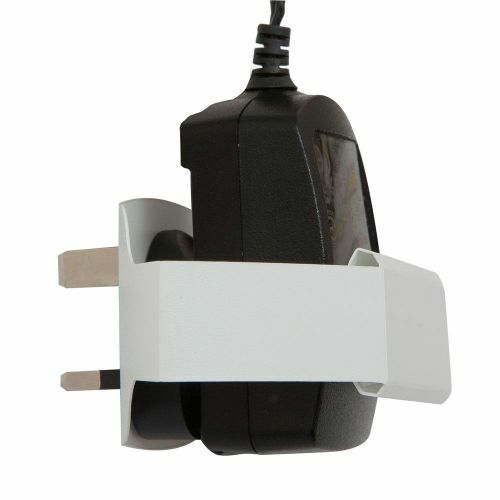 The New & Improved Caraselle Plug Pull. Designed & made in England. 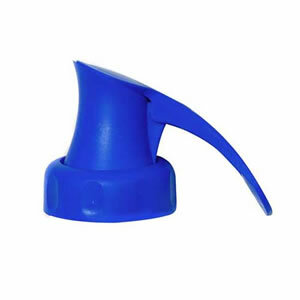 The Simplest Plug Remover on the Market ! 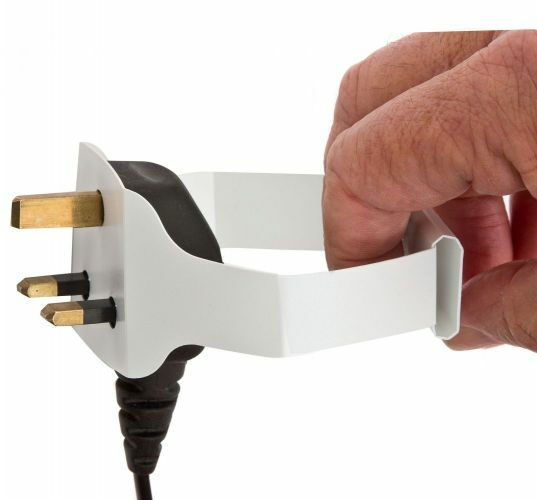 A truly revolutionary product to help those with arthritic or weak wrists, rheumatism, disabilities or the elderly remove plugs of all shapes and sizes from sockets. 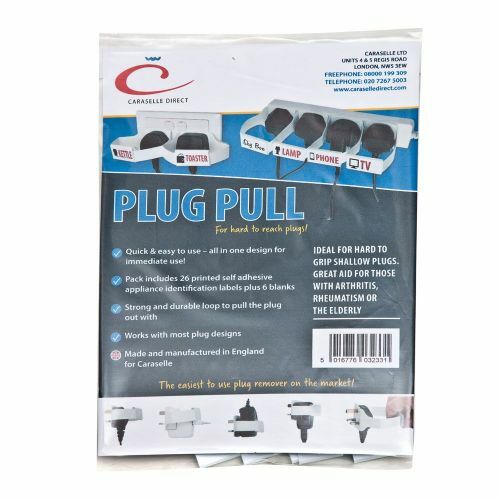 No other plug remover fits as many types of plug – the Caraselle Plug Pull is designed to accommodate most charger plugs and standard 3 Pin UK Mains Plugs. 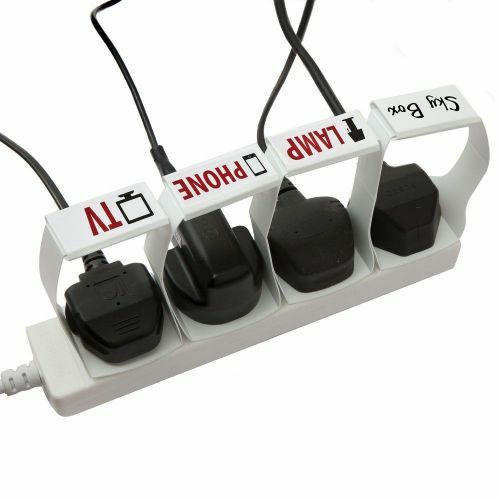 Our new Plug Pull is especially useful with shallow type plugs ie. 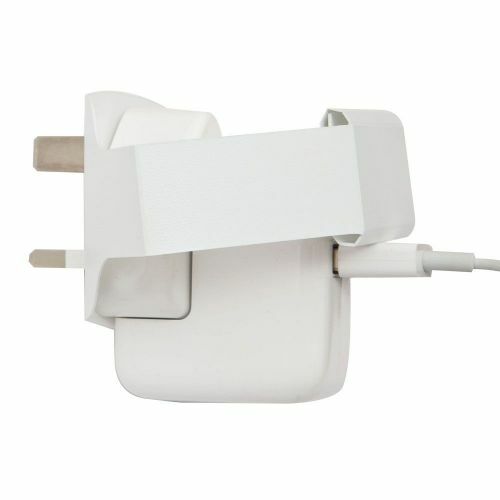 Apple Mac & IPhone chargers. 1. Remove each plug you’d like to fit a Caraselle Plug Pull to from it’s socket - ask for help if necessary. 2. Slide the Plug Pull over the plug’s outer side, making sure the 3 pins pass through the appropriate holes. 3. 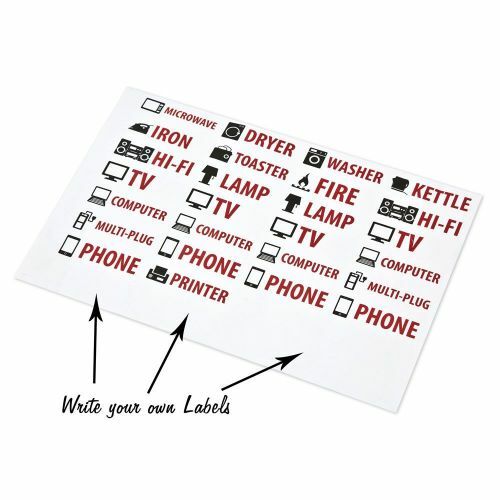 Finish off with one of our pre-made labels or write your own so you know what’s what! 4. Plug your appliance back in, and never work too hard to unplug it again. 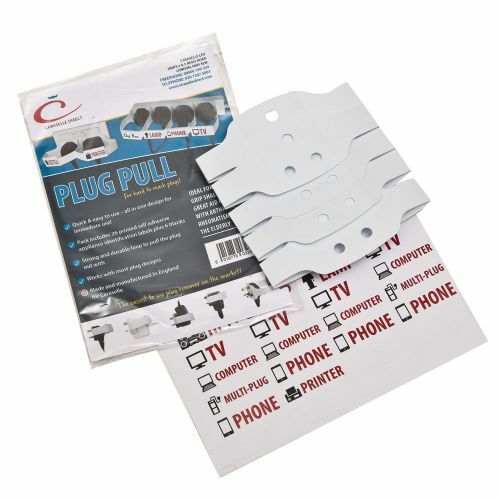 Each pack contains 5 Plug Pulls, 26 printed self-adhesive labels & 6 blanks for you to write on if so desired. Multi pack discount packs available.